Ask fellow campers about "A Country Breeze" and nearby attractions. 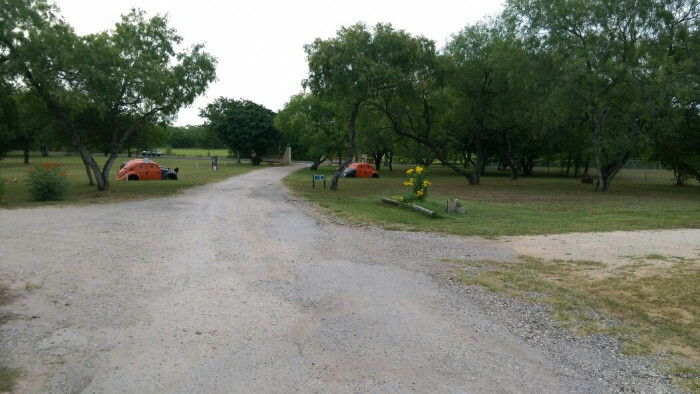 This park is outside Somerset Texas which means there is little to see or do in the immediate area. If you want to tourist in San Antonio, it would be a good place to hang out. They accept the Texas Saver card you can get free by calling 1-800-657-6555. The card gets you a 10 percent discount at participating RV parks. This is also a Good Sam park. All the parking spots are level concrete with full hook ups. Most have 50/30/20 but our spot only had 30A service. Most of the folks at the park are full time and most have pretty clean areas. The grounds in general are nicely manicured. There is a lot of space between RV spots. The only negative is there isn't a lot of shade due to the type of trees that grow in the area. 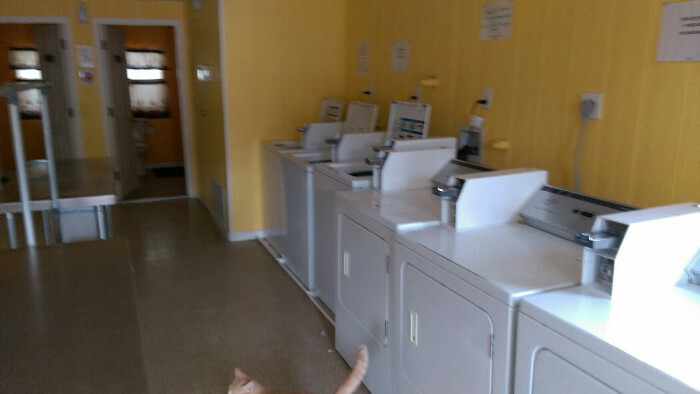 I did check out the combo laundry/shower area and it was nice and clean and actually had a vending machine. The folks who operate the camp are experienced and friendly owners. There isn't much to do once you are there so be prepared to go out and explore. The park is quiet and there is no road noise. AT&T phone reception was poor but you could make calls (1 bar). The wifi was pretty spotty. They have cable but I didn't hook up as we got 77 OTA channels which included all the major networks. We camped at A Country Breeze in a Fifth Wheel. The Cafe Vallarta Mexican restaurant is near and they have super Mexican food and good hours. On the other side of Somerset (about 5 miles) is a Dairy Queen for those with a sweet tooth and a Pizzla place called Constantinos with some of the finest pizza and Italian food you will find anywhere. Do try the pizza; you can call ahead and take it out. Upon arrival, we were told the new restroom building were almost complete.The one we had to use was the worst ever since we have been traveling the united states in 7 mos..Every day upon entering, they was no soap, towels or toilet paper available. Clearly they were never, within that week , checked. DIRTY, TO ANOTHER LEVEL. Mold growing on the walls all over , flooded 2 days with a dehumidifier . The door was coming apart in layers. CLEARLY it was never attended to or cared about. The neighbor that lives there said they been under construction the past 3 to 4 yrs..How can you be in a Good Sam park with this? The owners were very nice , the grounds were decent too but the restrooms were just unreal. You run a business but never check the restrooms?? I would never go back. We camped at A Country Breeze in a Fifth Wheel. We stayed at the Country Breeze for a month. It was spacious and had partial cement pads. There were spaces with shade, but were occupied with long term campers. All though the park has new managers, the park was in need of a lot of electrical work. While we stayed there, we had many times where the main breaker on the pole got flipped. It was very windy with no protection and the water seemed to shut off or slow to a trickle at night. Which was not very convenient after a hot day when a shower was wanted. A cemetery was close to some of the sights, and it frequently had many visitors all hours of the night. We heard many of the campers complain about the electric and water. The air also smelled of oil and left an oily residue on everything. We would not stay again. We camped at A Country Breeze in a Fifth Wheel. 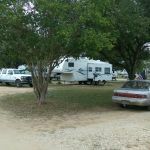 This is the same campground that used to be known as "Fort Retire," now under new ownership and management. We have stayed here four times over the last several years. We use it as a base to visit and take care of business in San Antonio. We like it because it is quiet -- no road noise -- and fairly dark. 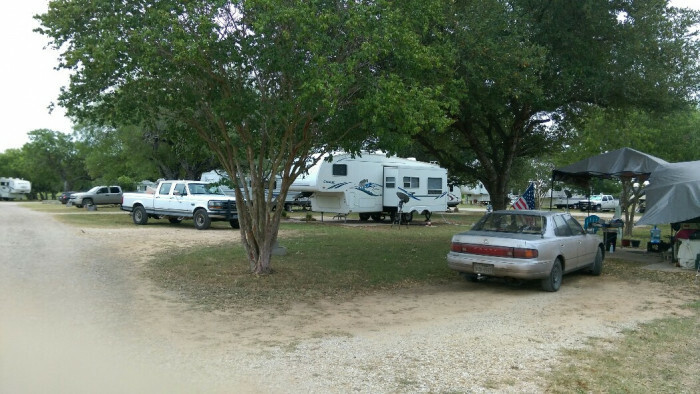 The campground is largely long-term residents, but that is certainly not a problem. 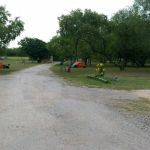 The owners live on site and manage the campground. 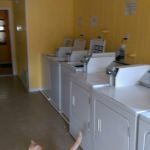 The are extremely helpful and accommodating, remembering you from one visit to the next. The campground is fairly simple with few frills, which is not an issue for use since we do not use clubhouses, etc. It gets the job done very well. It is clean and well kept and, as already noted, quiet. The new owners have added lights which we would prefer not to have as we like the darkness, but that is not a big issue. Most of the shady sites are taken by long-term residents but the sites are nice and big and level with good services. It is a ways into San Antonio, but is easy to do and on fast freeways. We checked out several of the parks in and around San Antonio and clearly prefer this one. We camped at A Country Breeze in a Motorhome. This is an older park but with a lot of work going on. 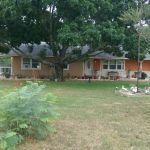 The current owners have been here about 1-1/2 years and are working hard to update. The sites are tight but adequate and clean. The park was quiet except for a few early morning folks headed to work. The owners are very friendly and helpful. The park is convenient to San Antonio but a little out of the way. We had a nice shaded spot. We will stay here again. The price was based on a weekly rate. 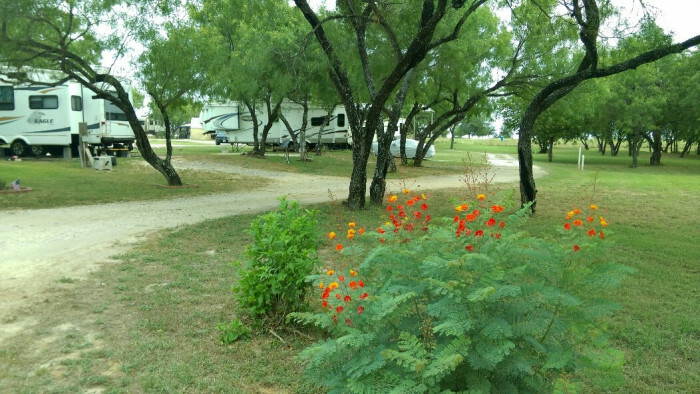 We camped at A Country Breeze in a Fifth Wheel. This park has brand new owners, and they are very accommodating. There are lots of shade trees and plenty of places to walk your pet. The park is quiet and off the beaten path. Needs better signs directing traffic to the location. The owners said they had signs ordered, so this shouldn't be a problem in the future. 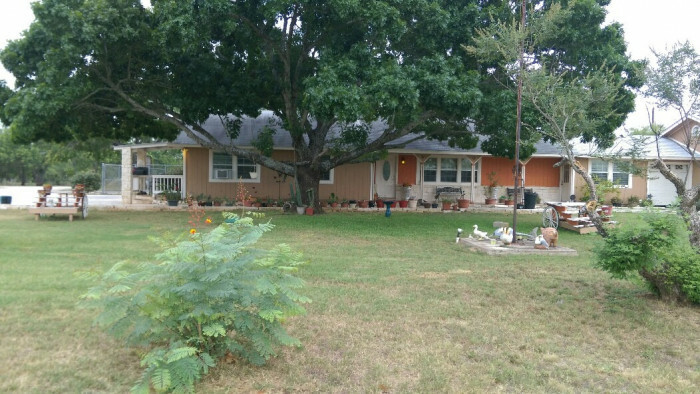 Easy access to south San Antonio, Lackland AFB etc. We encountered a lot of flies, which we believe came from an ill-kept pasture behind the park, not part of the park. Good lighting, and satellite dishes at every site and individual gas lighting. Concrete pads made leveling easy. The owners have grand plans so this is a park to watch. We would stay here again. 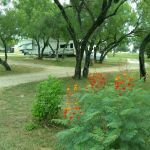 We camped at A Country Breeze in a Travel Trailer. Are you affiliated with A Country Breeze ?